As Croatia’s fifth largest city with the population of almost 80,000 inhabitants, Zadar is one of the most visited tourist destinations in that part of Europe. If you have decided to visit this historically rich city, here are the 10 daily trips from Zadar we strongly recommend you to take! 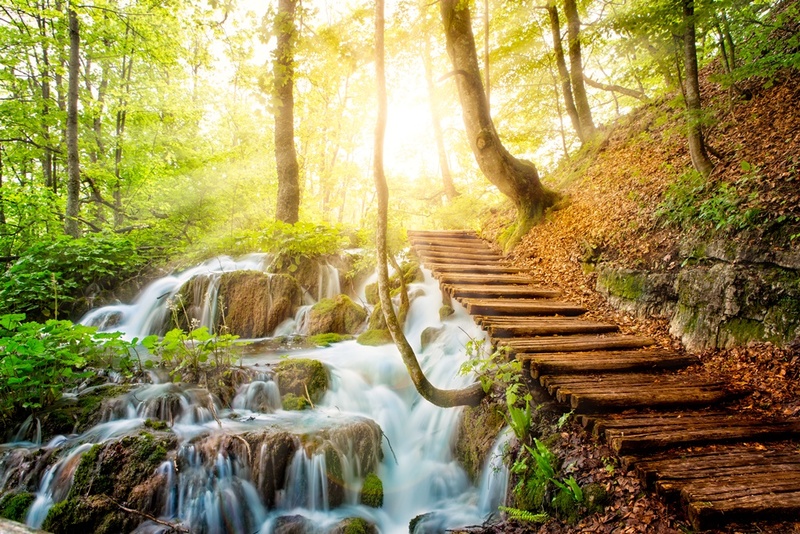 Croatia’s largest national park is really a must-see for every visitor of this country. 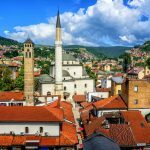 This breathtaking gem makes part of UNESCO World Heritage list since 1979. In peak season the admission fee to Plitvice goes up to 25€ per person, but you will get your money’s worth. By bus: there are numerous of direct bus lines which take you from Zadar’s bus station to the national park. Most of the buses departure from the bus stop at entrance 1, some also from entrance 2 and Mukinje. In summer the departures are more often and the ticket price is approximately 12€. The journey time is a bit less than 3 hours. By car: Driving from Zadar to Plitvice by car takes 2 hours. In case you don’t have your own car, you can always rent one and have a wonderful day trip. However, in summer months, keep in mind to leave Zadar as early as possible since you’re likely to encounter traffic jams on highway so your journey will take longer than expected. The closest islands to Zadar are Ugljan and Pašman, the two pearls of the Adriatic Sea. Ugljan is covered with evergreen pine forests, vineyards and olive trees known for its 2000-year-old tradition of olive oil production of highest quality. Pašman on the other hand is connected to Ugljan by the Ždrelac passage and due to the sea current direction changes every 6 hours, is possibly the cleanest sea on the Adriatic Sea. By ferry to Ugljan: from the Zadar’s ferry port Gaženica go to port of Preko in the island of Ugljen. The journey time is approximately 25min. One way ticket costs 2,5€. Check out the ferry schedule. By ferry to Pašman: it is necessary to board the ferry going to Ugljan, and after you exit in the Preko port, take the bus connecting the two island via the Ždrelac passage. Although only the seventh largest island in Croatia, Dugi Otok has the most beautiful beach on the Adriatic Sea. 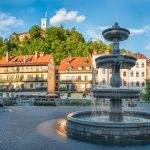 It is one of Croatia’s hidden gems, so it is a perfect place for you if you enjoy not-overcrowded places in the shadow of dark green pinewoods with splendid sea. By ferry: from Zadar’s ferry port of Gaženica, go to Brbinj (Dugi Otok). The journey takes 1h 20min and a single fee is 3€ per person. By catamaran: from Zadar city centre take the catamaran to Bozava or Sali (depending on which part of the island are you going to). The ride is 1 hour long. 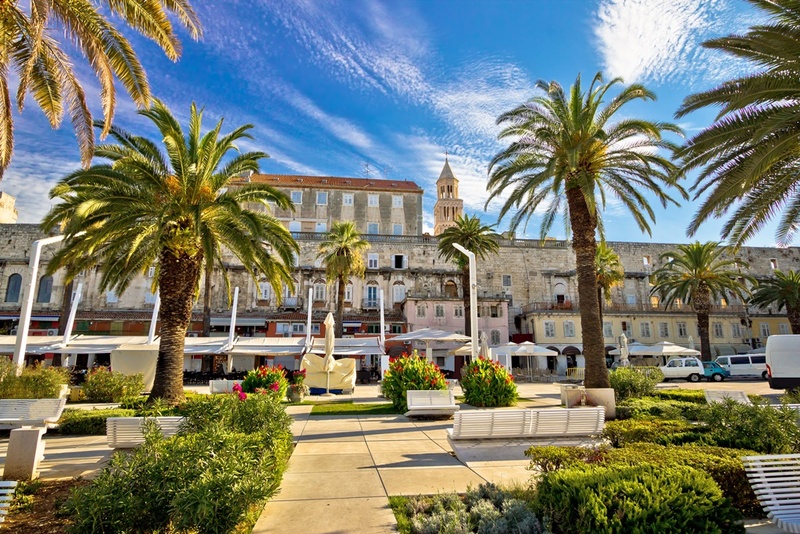 Split is, together with Dubrovnik, probably the most popular Croatian destination. 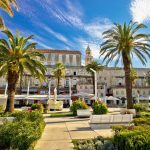 If you wish the see the famous Diocletian Palace and the historical core of Split which have been on the World Heritage UNESCO list, then this is a day trip you must undertake. By bus: there are many bus companies which drive on the route between these two cities. The journey takes about 3 hours and one way ticket costs 10€ – 15€, depending on the company. By car: This is as beautiful as the picturesque ride with bus, yet a bit faster. You can reach the city of Split in less than 2 hours due to 120km long distance. If you don’t have your own car, you can always rent it, but this is the most expensive option. Also called ‘Krešimirov grad’, Šibenik is a historic city in central Dalmatia. 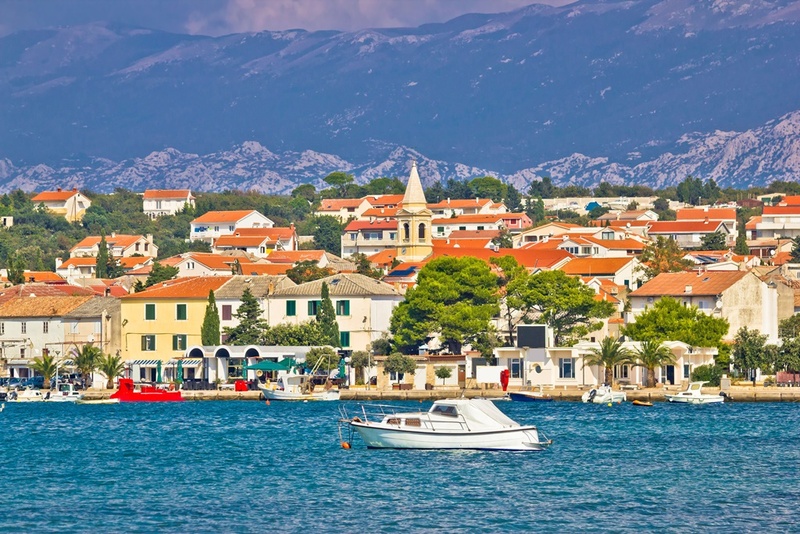 This small town is a real jewel of Croatian heritage as it’s the oldest native Croatian town on the shores of the sea. By bus: several companies provide the link between the two cities. A 89km long journey takes 1h 20min and the ticket price varies starting from 5€ up, depending on the company. 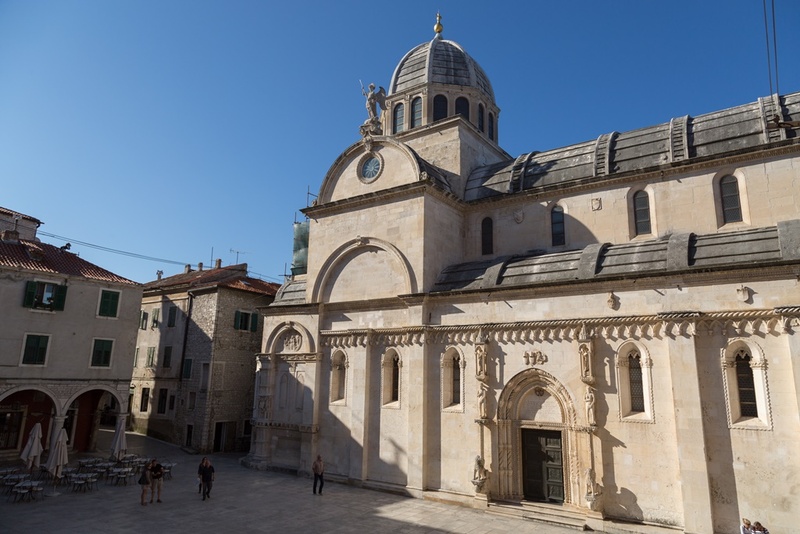 By car: You can reach Šibenik in under an hour if you go via highway and this is definitely the fastest option. The pay toll is a bit more than 3€. 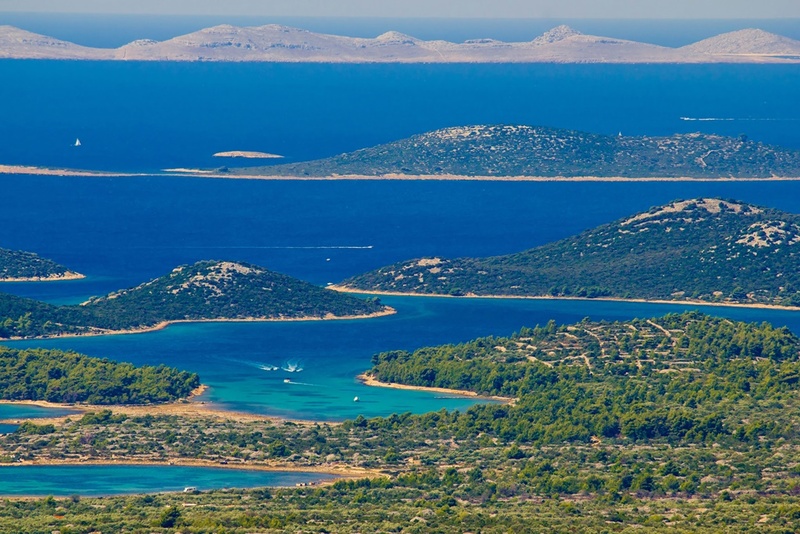 Kornati, an archipelago of Croatia, are situated in northern Dalmatia, south of Zadar. The national park includes 109 islands The park managed by the town of Murter, on the same named island, and is linked to the mainland by a drawbridge. By ship: there are few tourist agencies which organize one day trip to Kornati for a price from 200 to 300 kunas which includes transfer, a ticket to the national park, lunch and a tourist guide. Zadar is really a perfect place to go for nature enthusiasts since five of eight Croatian national parks are nearby. Paklenica is located in Starigrad at the southern slopes of Velebit mountain. Hiking is the most popular activity for experiencing the real nature of the park, so Paklenica is the most visited climbing site in Croatia and the biggest in Southeast Europe. By bus: there are few companies which connect the city of Zadar to Starigrad (Paklenica). The journey time is 50min and the lowest price for a single ticket is 3,50€. By car: It takes 40 minutes by car to reach the national park. Take the E65/E71 road. 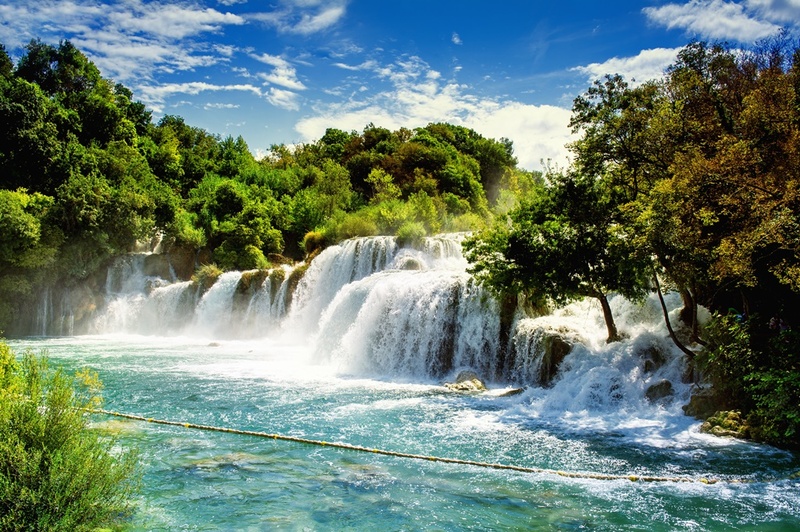 Skradinski buk, Visovac, Krka monastery and much more is waiting for you in Croatia’s national park named after the river nearby. It is exceptionally rich and varied in flora and fauna. The Krka Waterfalls has the second highest concentration of lavender per km squared in Europe, due to which there is a high number of bees and wasps as well. By bus: first go to Šibenik and there change the bus for the one going to Skradin or Lozovac. The journey takes 1h 30min. 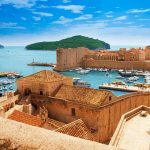 By car: take the coastal route from Zadar to Sibenik, not only do you save the toll fees on the motorway, but you also get to see the gorgeous coastal line. The ride is about 1 h 15 min long, which is about 15 minutes more then via motorway. Pag is a Croatian island in the northern Adriatic which has the longest coastline. It is a very popular tourist destination, especially among the young who all go there for the Zrće beach, often referred to as ‘Croatian Ibiza’. By bus: there are several direct connections between Zadar bus station and the city of Pag. The journey takes an hour and a single fee is 7€. By car: a 60km long distance requires less than an hour to reach your destination. If you do not have your own car, rent it online. 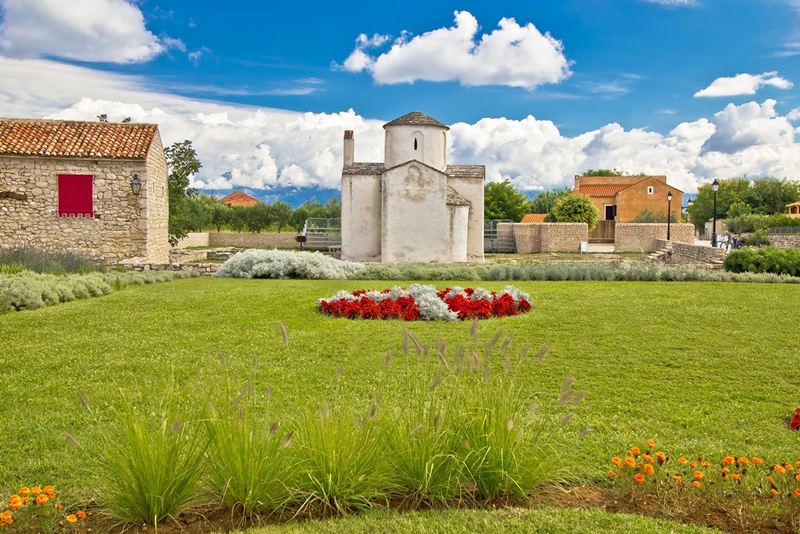 Nin is a small city in Zadar county, very important for its rich historical background. Do not miss out on on a real treat for all history fans among you. By bus: it only takes 25 minutes to reach the city of Nin by bus. You can find the driving schedule at the bus station in Zadar. By car: definitely the fastest option, since you’re there in 15 minutes. Consider renting a car if you don’t have your own.